Thank you to Universal Pictures Home Entertainment for providing a review copy of Kidnap for this post. 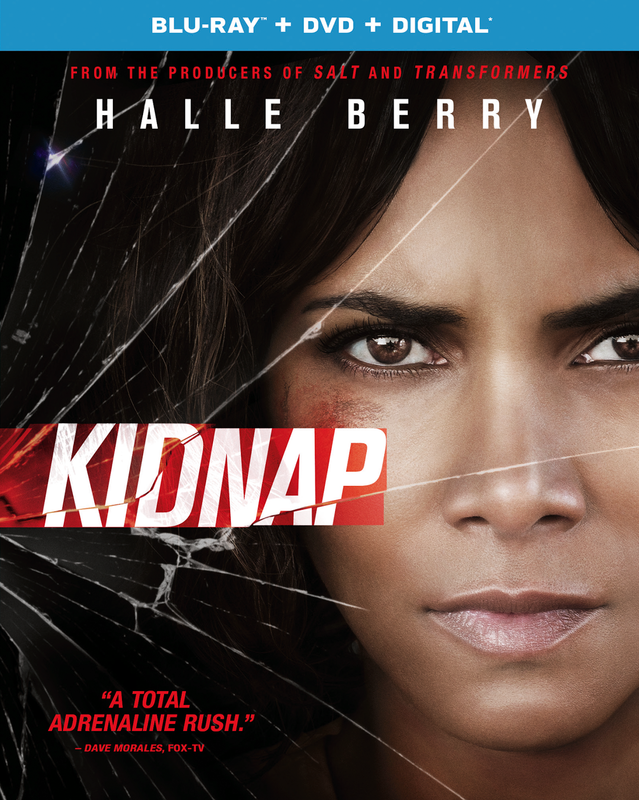 I am excited to announce that Kidnap is coming to Blu-ray, DVD and On Demand October 31, 2017 from Universal Pictures Home Entertainment.Halle Barry has knocked it out of the park again with her acting. She is AMAZING. This movie kept me on edge the whole time. If you don't know, this movie is about her son being Kidnapped. This movie shows a mother's worst fear. She steps away to take a call just for a few moments, and turns around and he is gone. She sees him being dragged into a car with a big woman and goes to great lengths to get her son back. In the frantic moment, drops her phone and has no way to call for help. This movie kept me on the edge, gave me anxiety and made me cry! A typical afternoon in the park turns into a nightmare for single mom Karla Dyson (Academy Award® winner Halle Berry) when her son suddenly disappears. Without a cell phone and knowing she has no time to wait for police help, Karla jumps in her own car and sets off in pursuit of the kidnappers. A relentless, edge-of-your seat chase ensues, where Karla must risk everything to not lose sight of her own son. In this tense, action-fueled thriller, from the producers of Salt and Transformers, one mother’s heroic attempt to take back her son leads her to ask herself how far she will go to save her child. I did like the fact that this movie is so intense. It is, in fact, every mother fear. I mean, what length would you go to to get your child back? I do not want to give away too much, however, I can promise that this movie is worth watching. I will have to say that as a mother, if you watch this movie, you can feel her pain, that is why I love it. It is a movie that connects with the audience and grabs on to their deepest fear. Watch the trailer below for yourself. Check out more info on the Official WEBSITE. You can also visit the Kidnap Movie social channels below to stay up to date with the latest! Kidnap, coming to Blu-ray, DVD and On Demand October 31, 2017 from Universal Pictures Home Entertainment. Purchase on Amazon HERE or visit a retailer near you. Win it: One reader is going to win their own copy of Kidnap on Blu-ray combo pack. All entries will be verified! Giveaway ends on 11/17/17. Enter below. Goodluck! I want to win because I love Action thrillers and this looks like a good one to see! I would love to win to see this movie, it looks really good. I would love to win because I haven't had a chance to watch this, and the trailer makes it look amazing. This looks like a good movie and I am a Halle Berry fan. Our family loved this movie. I love Halle Berry and this looks like a movie we would enjoy. Looks like an awesome movie. Can't wait to see it. I have heard a lot of about the movie. Sounds like one that i could enjoy. Thank you.